All Roads Lead to Rome the say, in my case though it seems everything I come across lately lead back to 3 days of design and Frama. Thinking about changing the backsplash at home and adding something to protect the wall, something with Italian style and lots of olive oil, my eye caught the kitchen wall of this beautiful home. Even after studying the pictures I still donn't understand what they used to protect, so if you know please do tell! 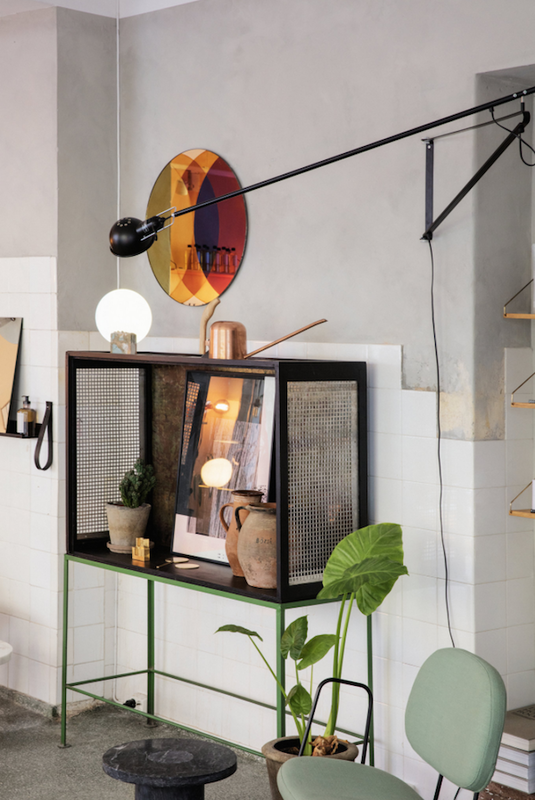 This apartment is the home of Alessandro D’Orazio and Jannicke Kråkvik, an Italian - Norwegian couple working in the field of interior design and styling as Kråkvik&D´Orazio, and owners of Oslo based store Kollekted By. 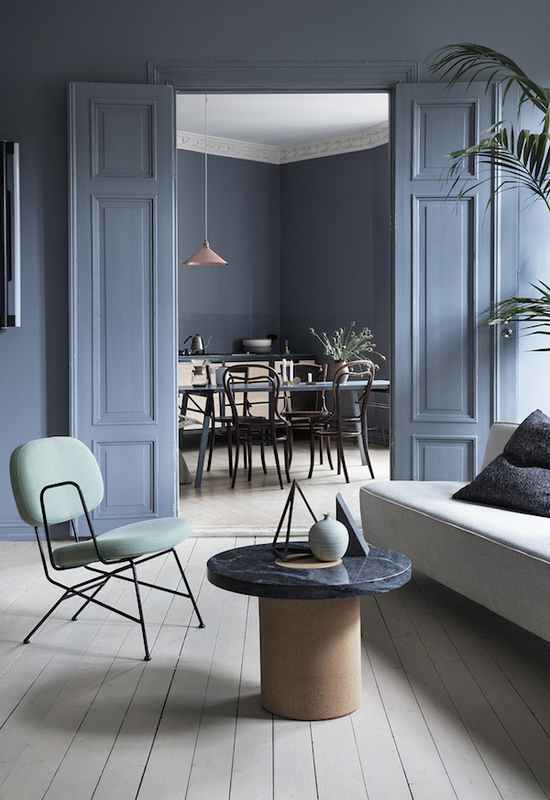 The apartment is painted in smoky blue with washed-out pine floors and a mix of textures, materials and shapes. 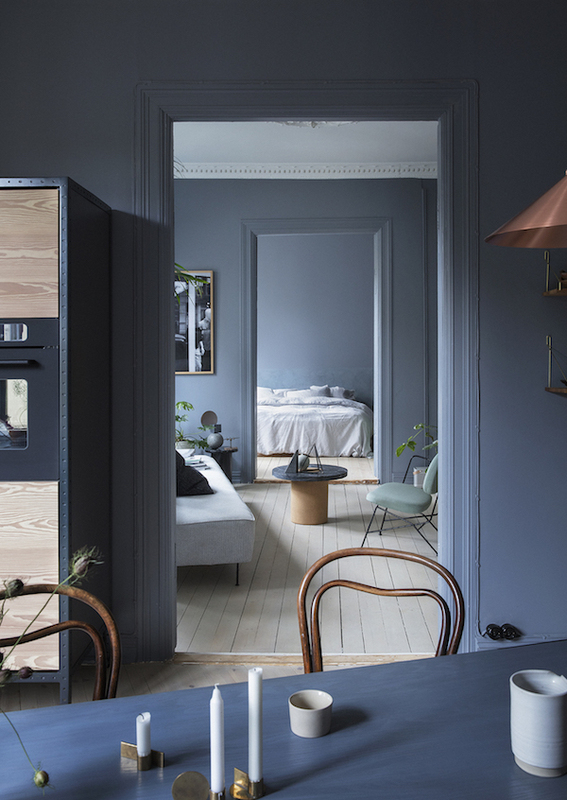 Some furniture, accessories and also the kitchen is by Frama. Jannicke explaines how when decorating they start by filling up a room and taking things away piece by piece until it almost hurts and then, suddenly just will feel right! 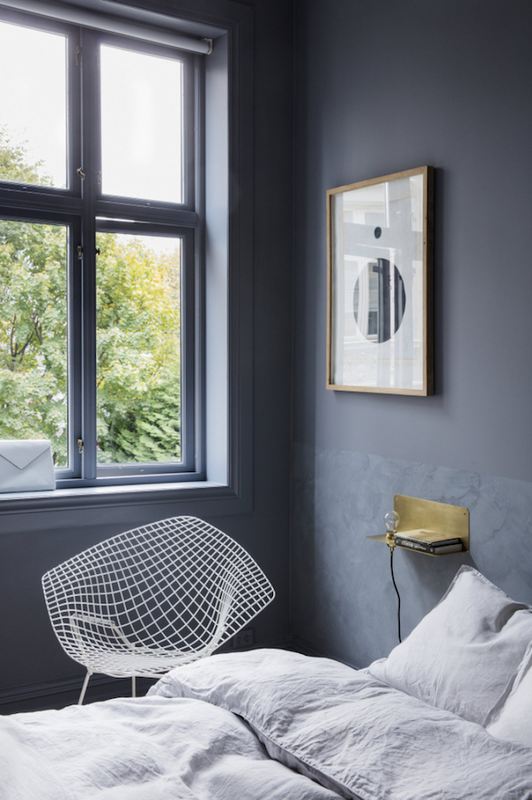 Next to Frama, other furniture used in the home are chairs by Thonet, a vintage cabinet with a mirror by Dutch Lex Pott & David Derksen, Flos and Knoll. 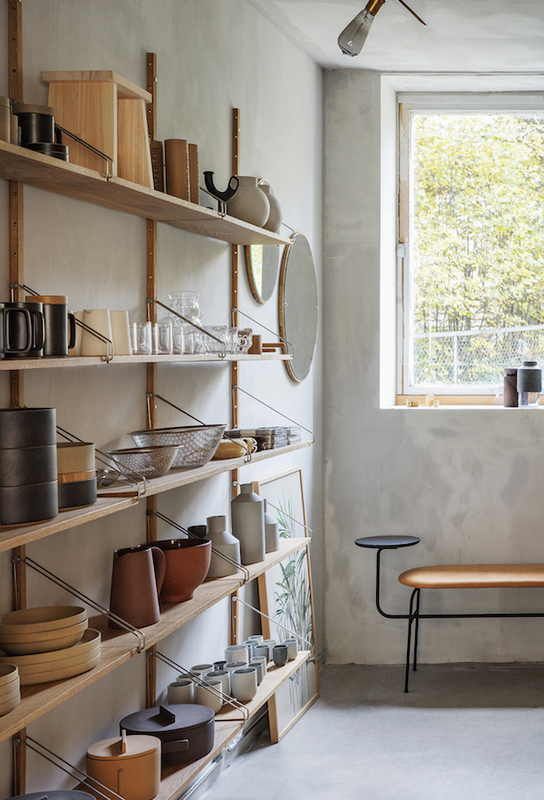 The couple first designed a few bars and cafes in Oslo for friends until in 2013, in partnership with Frama, they opened Kollekted By an interior store filled with minimal Danish furniture from Frama and a carefully curated collection of their own favourite furniture, lighting and interior objects from around the world like Workstead, Eumenes, Futagami, Hampson Wood, Guri Sandvik, Menu, Labt, Restart Milano, Karimoku New Standard, MAK Lab, Karin Carlander, and Dutch Mae Engelgeer amongst others.